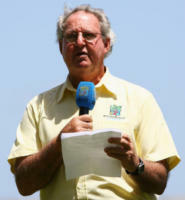 Commentator Tony Cozier has said West Indies could fail to send a squad to their upcoming tour of South Africa as well as the 2015 Cricket World Cup in Australia and New Zealand if the standoff between the West Indies Cricket Board, West Indies Players Association president and CEO Wavell Hinds and the West Indies players’ movement spearheaded by ODI captain Dwayne Bravo remains unresolved. Cozier characterized the abandonment of the West Indies tour of India as a “lose-lose situation” and stated that both the players and the board shared responsibility for letting the dispute get out of hand. Cozier believes the players should have made their stand prior to leaving the West Indies for the start of the tour, but that once they were in India the WICB should have intervened after the situation escalated on tour with Bravo calling for the resignation of Hinds. Cozier also lamented that another blow had been delivered to cricket fans in the region now that they can no longer watch their team on tour going up against the reigning World Cup champions. Spectator attendance at grounds throughout the West Indies has been in decline for some time and this latest incident will not help resuscitate what Cozier describes as a waning level of support for West Indies cricket. “The fact of the matter is that the West Indies, under the ICC rankings for Tests and ODIs, they’re eighth in the list and only above Bangladesh and Zimbabwe,” Cozier said. 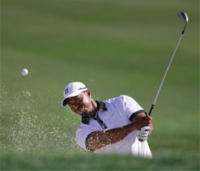 “The interest in cricket here in the Caribbean on the field has certainly waned to a large extent. The Test matches against New Zealand, a very good series here back in June, a good tight series New Zealand won 2-1, you looked at the crowds then and you had maybe 200-300 people at the ground. The biggest crowd perhaps was in Barbados where you had about 1000. That just reflects the exasperation of the supporters here in the Caribbean. They can’t understand why this should be happening over and over and over. You wonder if they’ve all given up on it now.